Please read these Conditions of Sale carefully. These Conditions of Sale are applicable only to order of JERZY DROZD electronic devices placed through the JERZY DROZD website or by e-mail through our Client Services. Please note that before placing an order, you will be asked to agree to these Conditions of Sale. If you do not agree to these Conditions of Sale, then you will not be able to order any products or services. Sales concluded through third parties (such as authorized retailers) are not subject to these Conditions of Sale. We may make changes from time to time to these Conditions of Sale so please check back regularly to keep informed of updates. Any new version of these Conditions of Sale shall take effect immediately upon the date of posting and will govern any orders of products or services made as from that date. Any changes to the Conditions of Sale made after you have placed an order will not affect that order and your relationship with us, except as may be required by applicable law. All orders are subject to availability and acceptance of such orders by us. All prices shown on the product pages or quoted by our Client Services exclude shipping costs, customs duty and other taxes unless otherwise stated. Shipping costs are not stated on the product pages but will be added to the product price after you have chosen your delivery options. These costs will be summarised before you are asked to confirm and place your order and will also be reflected in our email correspondence with you once you have chosen your delivery options. We take reasonable care that the prices of products and delivery costs are correct at the time when the relevant information was entered into the system or communicated to you via our Client Services. However, it is always possible that, despite our reasonable efforts, some of the products offered or delivery costs may be incorrectly priced. If any of the products you place an order for or any delivery costs are incorrectly priced, we will contact you as soon as possible to inform you of this error. If we are unable to contact you using the contact details you have provided during the order process, we will cancel the order and notify you in writing. If we mistakenly accept and process your order where a pricing or delivery cost error occurs, we may cancel supply of the product and refund you any sums you have paid. We accept the methods of payment identified as part of the order process. Depending upon the means of payment, we may require additional information, including specific forms of identification. When ordering, you will need to enter your payment details on the appropriate form. All payment card holders are subject to validation check and authorization by the card issuer. If the issuer of your payment card refuses to authorize payment to us, you will need to contact your card issuer directly to solve this problem. Other payment methods may also be subject to validation checks and authorization by the payment system providers as well. If we cannot meet our shipping and/or delivery obligations set out below, we will notify you via e-mail and we will refund the pre-payment without undue delay. We do not charge a fee for bank wire transfers, however, some financial institutions may charge a fee for using a bank wire transfer. We may acknowledge a bank wire transfer order, but the order will not be processed until the payment has been received and confirmed by us by e-mail. If your wire transfer payment is not credited into our bank account within seven (7) days after you have placed your order, your order will be cancelled. We only accept orders for delivery to the country or countries that are identified during the Order Process. We will use reasonable efforts to ensure delivery by the carrier within the estimated delivery lead time. If the delivery is delayed by an event outside our control, we will inform you as soon as possible and will use reasonable efforts to minimise the effect of the delay. JERZY DROZD guarantees its electronic devices against any manufacturing fault for a period of 2 years from the date of purchase. If your JERZY DROZD electronic device shows manufacturing defect fault during the applicable guarantee period, we undertake to replace it without charge. In this event, please address to our Client Services by e-mail and follow the instructions that will be given to you. For any repair inquiries relating to a product, please contact our our Client Services by e-mail. Only items purchased through JERZY DROZD website or through JERZY DROZD Client Services may be returned or exchanged. You may return any purchase without customized engraving for a refund or exchange, within thirty (30) calendar days from the date of delivery, by clearly informing us of your intention to do so by writing to our Client Services. You may be asked to provide information about the products for us to make a first assessment of the condition of these products. 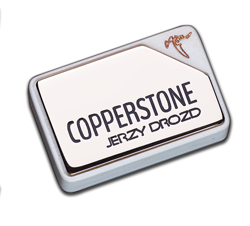 Only products received by JERZY DROZD will be eligible for a refund or exchange. Our products must be returned in a new state, in perfect conditions, with all protective materials in place, as well as with the original JERZY DROZD box and delivery package, including all accessories and documents. Any item with signs of wear, damage, or alteration cannot be accepted. All returns will be subject to strict Quality Control by us to ensure that the returned products satisfy these requirements. If the products do not meet the Quality Control standards, we will refuse the return, and the products will be returned to you. If the returned product satisfies the Quality Control, we will proceed with the applicable refund or exchange. You may return a product for refund, provided that the return complies with these Conditions of Sale. Only the buyer will be entitled to receive a refund of the purchase price. In no event will a person who has received the product as a gift be entitled to receive a refund. If you are a Gift Recipient and wish to return a product, please contact our Client Services to discuss your options. If the return complies with these Conditions of Sale, we will use commercially reasonable endeavours to refund the purchase price to the buyer using the same means of payment as used by the buyer for the initial transaction. Except for delivery of a defective product by us, shipping charges will not be refunded. You may return a product for exchange with another JERZY DROZD product, provided that the return complies with these Conditions of Sale. We try to ensure that the information, including product descriptions, dimensions, and colours, provided on the website, in advertisements or catalogues is accurate and complete. However, we make no guarantees, whether express or implied, in relation to the accuracy, reliability and completeness of such information. The validity of this document, last updated on March 2, 2019, will govern as its exposure is maintained.